James Owens Coorough, of Powell, died Monday, April 2, 2018, in Cody. He was 72. James was born July 1, 1945, in Cody, to Glenn H. and Arleene Lenora (Owens) Coorough. 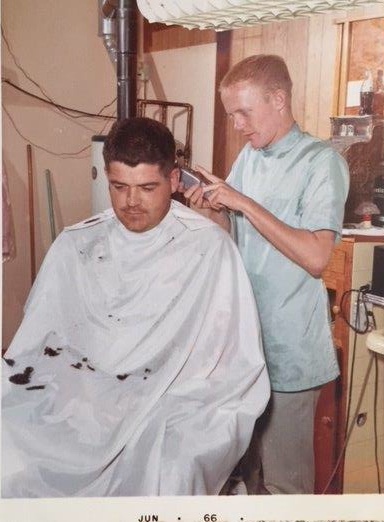 After attending college, Jim enrolled in barber school in Denver, Colorado, from 1963-64. He married Teresa Jane Hill on Jan. 15, 1965, in Cody, and they made their home in Powell. Jim was a member of the Powell Elks Club, Big Horn Basin Boat Club, and belonged to the Presbyterian Church. He enjoyed fishing, golfing, spending time at the boat club, and traveling to Arizona with friends. Jim was preceded in death by his wife Teresa, father Glenn H. Coorough and mother Arleene Lenora Coorough. He is survived by son Bryan (Tory) Coorough; grandson Skyler Coorough, and granddaughter Abbey Coorough, all of Gillette; sister Alayne (Alan) Jones of Powell, and two grandchildren. A celebration of life will be held at the Big Horn Basin Boat Club in Cody at a later date. Thompson Funeral Home is assisting the family and condolences may be sent to them at www.thompsonfuneral.net or P.O. Box 807, Powell, WY 82435.